harmful impact of lightning strikes. The forces of nature often prove to be resistant to a full understanding by the likes of humanity. 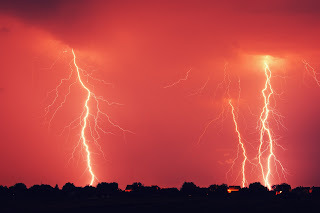 Lightning simultaneously frightens and fascinates us, and it seems to be less predictable in its touchdown points than we would like it to be. Lightning strikes constitute extreme releases of energy. A direct hit to your facility or equipment has a high probability of rendering it unusable. The pathways of the destructive energy can be diffuse and unpredictable. Prevention, by diverting the energy away from where it will do harm, is generally considered to be the best protective path for industrial and commercial facilities. In a previous post, we shared a comparison of several lightning protection techniques. The report is included below for review. Dehn Inc. has been providing lightning protection and related equipment since 1910. The company provides solutions in the field of surge protection, lightning protection/earthing and safety equipment for many industries including, water wastewater plants, buildings and systems, industrial plants, energy supply, oil and gas industry, security systems, chemical & pharmaceutical industry, transportation systems. Their success in the field today is based upon decades of experience designing and producing protective installations and gear for facilities of many types and in many locations. Share your lightning protection challenge with system specialists, and leverage your own knowledge and experience with their application expertise to develop an effective lightning protection plan. Blunt Rod Lightning Protection Comparison from Classic Controls, Inc.